The Keto diet may not have the same claim to fame as Atkin’s or South Beach, but the basic concept is a familiar one: low carb, moderate protein and high fat. Essentially, a ketogenic diet forces your body to burn ketones (through fat) instead of carbs (glucose) for energy in what’s called a state of ketosis, a practice initially used to treat patients with epilepsy. Today, celebs like Mick Jagger, actress Megan Fox, model Adriana Lima, Lebron James and Kim Kardashian have been associated with the bacon-lovin’ diet that emphasizes good fats like nuts, butter, avocado and salmon while eliminating grains, starches, bread, alcohol, pasta and sugar. For those looking to lose weight without giving up certain fatty foods, here’s a simple breakdown of what the ketogenic diet is comprised of: 75 percent from fat, 20 percent from protein and 5 percent from carbs, so you can still have your bacon and eggs but your mashed potatoes are now mashed cauliflower with butter. 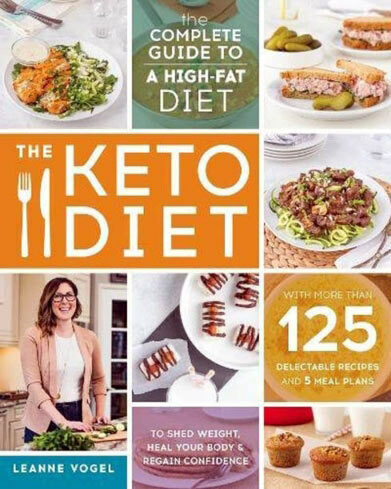 GAYOT’s list of the Best Keto Diet Books features five ketogenic diet books that break down the science behind ketosis, provide keto-friendly recipes and make it a little easier to eat more fat while feeling better and looking better. For more health-conscious reading, be sure to check out our list of the Best Paleo Cookbooks for even more information. This book offers ketogenic diet basics for beginners with novice-friendly recipes. 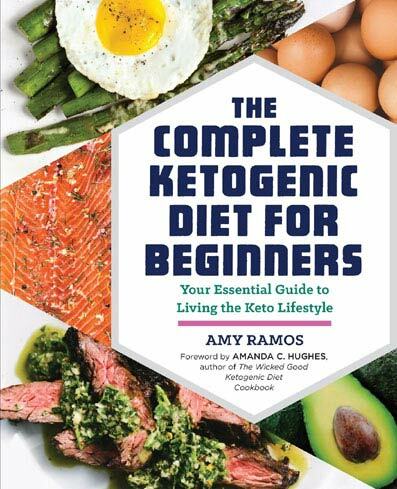 For Keto 101, look no further than this keto guidebook from Amy Ramos that includes an overview of the fundamentals of a ketogenic lifestyle in addition to nearly 80 recipes that use five ingredients or less. Equipped with charts that break down the good (asparagus) and bad (rice), the guidebook answers any keto diet questions you may have while providing a two-week meal plan and grocery list to get you started. Popular blogger Jimmy Moore of Livin’ La Vida Low-Carb highlights the benefits of a ketogenic diet. After attempting several diets as a 400-pound 32-year-old, Jimmy Moore discovered the keto diet. He was so inspired by the positive changes he experienced that he developed this guidebook along with Dr. Eric C. Westman. 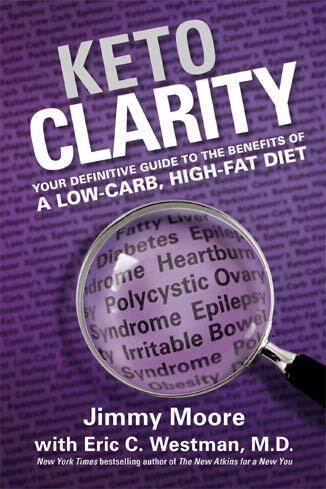 The motto “Keep carbs low, Eat more fat, Test Ketones often, Overdoing protein is bad” runs throughout the book as a reminder of the ketogenic diet basics. With the help of Westman, Moore discusses the science behind the diet including blood testing and monitoring the production of ketones. The authors also provide insights from 22 experts on the subject, plus a keto-friendly grocery list, 21-day keto meal plan and more than 25 recipes including pan-fried avocado and Moore’s keto eggs. The best-selling author and woman behind the popular site MariaMindBodyHealth has developed a 30-day meal plan to kickstart a keto diet. 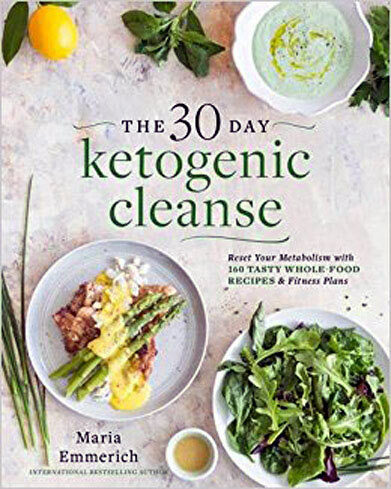 Author and keto diet expert Maria Emmerich has written several keto books touting the benefits of the diet, but this one in particular is meant to guide readers through the meal planning and cleansing process. Emmerich provides the foundation for fully embracing a ketogenic lifestyle with an overview of the benefits (eliminates acid reflux and improves brain health, for instance) and how to stock your pantry properly by eliminating sugar and high-carb foods and focusing on fatty versus lean protein. This primer on changing your lifestyle offers a recipe index along with 160 illustrated recipes for making everything from salad dressings, cashew milk and seasonings to meals like hunan beef-stuffed bell peppers. Keto diet expert Leanne Vogel offers a customizable guide for a smooth transition to a keto lifestyle. Leanne Vogel, nutrition educator and the woman behind keto blog Healthful Pursuit, developed her paleo-friendly keto diet after the the success of her acclaimed site dedicated to the keto lifestyle. For anyone curious about the various approaches to the diet, Vogel’s book breaks it down with illustrated charts including the ketosis process and the “heroes and villains” of fatty foods. There’s also 125 illustrated recipes including kale pâté, grain-free hemp seed porridge and Waldorf-stuffed tomatoes. If you have doubts about the health benefits of a high-fat diet, Vogel’s myth busters include the fact that cholesterol (not fat) clogs arteries and that fat can actually help you lose, not gain weight. It’s all about comfort foods with a low-carb keto diet twist. From chicken pot pie made with almond flour to turkey meatloaf cupcakes with mashed “fauxtatoes” made with cauliflower, popular keto diet expert Maria Emmerich gets taste buds tingling while keeping it keto-friendly with more than 170 recipes. 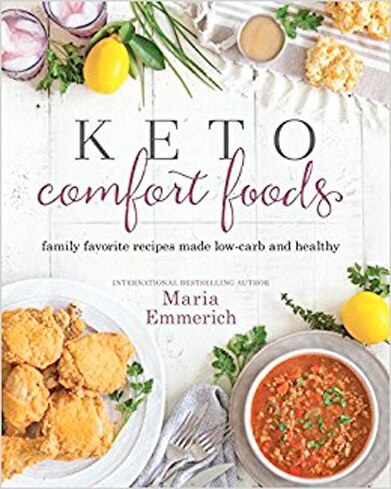 She also includes a chapter full of basic recipes including how to make bone broth, keto grits, keto buns, cauliflower rice, “fauxtato” leek soup and pizza supreme. This book is a must-have for crave-worthy ketogenic meals.